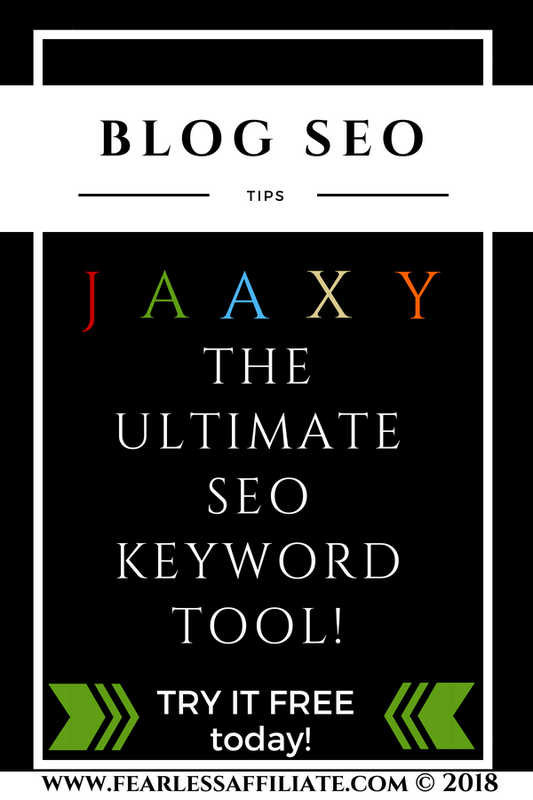 Jaaxy- The Ultimate Free Keyword SEO Tool! Looking around the internet, you can see a plethora of keyword research tools. Some are free, some are paid and some are a combination. But for those new to using these tools, I have to say that simpler is better. That is why we are going to review the benefits of using the Jaaxy Keyword Research Tool to improve your SEO results. Jaaxy is a paid Keyword Research Tool that comes with 30 free searches. When you are starting to make money with your website, I recommend that you come here and pay for this tool first, as you are getting some solid information about any keyword that you search. 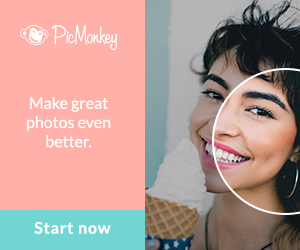 Pro membership is $19/month or $199/year (USD). The Enterprise membership is $49/month or $499/year (USD). You can safely go with the Pro version (2x speed increase of results); Enterprise gives faster results (5x speed), and more tabs. I used up my 30 free searches and have had the Pro version since September 2017. I encourage you to sign up and try this tool at least once, to see the huge number of benefits. If you only pay for one tool to help your blogging, then an excellent keyword tool like Jaaxy is the way to go. But for sure try it free for 30 searches. 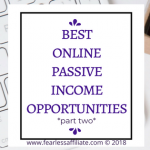 Those of us who are part of the Wealthy Affiliate community have a perfectly good free keyword tool now have Jaaxy as our keyword tool, and that is built into our program. As well, when you sign up to Wealthy Affiliate, you also get 30 free keyword searches as a free member! When researching keywords, you get to see the top 15 searches if you have a free account. 15 is plenty to get you started, and you can look down the column on the right to see “Related” (keywords that are related to your target keyword). Next to that is “Brainstorm”, but we will get to that a bit further down. AVG: The average number of searches that keyword receives in a month. You want that number to be close to or above 100. TRAFFIC: Visits to your webpage if you receive first page rankings in the Search Engines. If this number is high, like 1000, you can assume that competition is high as well. Your keyword may be too broad. QSR: Quoted Search Results: the number of competing websites ranked in Google for this exact keyword. Aim for under 100 QSR or close to that. KQI: Keyword Quality Indicator. Green is great, Yellow is OK and Red is poor, and just like traffic lights this indicator tells you if you are on the right track. This is, visually, the very best feature in Jaaxy, as just looking at shows you which keywords are going to be good ones. SEO: A score based on traffic and competition, the higher the score the more likely you will rank for this keyword on the first page (scale of 1-100 = higher is better). DOMAINS: Availability of domains that are related to this keyword. I do not use this feature, as I am only working with one blog of my own right now. You are getting your money’s worth with this information alone. A quick internet search of some other free keyword tools will show you that you get pretty much what you pay for with free keyword research, which is minimal compared to Jaaxy. Besides analyzing keywords, you can also do the Alphabet soup technique from a quick link at the top of the page. 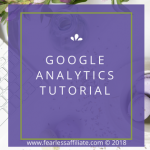 Alphabet soup is taking your keyword and going through the alphabet starting at the letter “a” and attaching that to your keyword, and using Google to give you ideas. For example, using the keyword KEYWORD, you would then Google search Keyword a…then Keyword b…and then Keyword c… and see what Google gives you for ideas. The Jaaxy tool comes with this addition built in, and expanded upon. You can have the letters of the alphabet BEFORE your keyword or AFTER or within it somewhere. 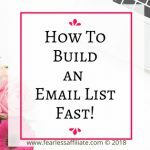 This is a powerful tool, as this expands your keyword research, and automates a task that would normally take up a lot of your time. It also sorts your results into alphabetized categories, with a slider that helps you jump forward to a specific category. The SAVED LISTS is where you can save your searches, which is great if you abandon your idea but want to use it later. Then some of your research is already done! I use this feature weekly, as it helps me to see what I have been searching for recently so I am not duplicating posts. You also have a SEARCH HISTORY, with the date and time that you did the search. You can refer back, as well you can organize your searches in many ways. 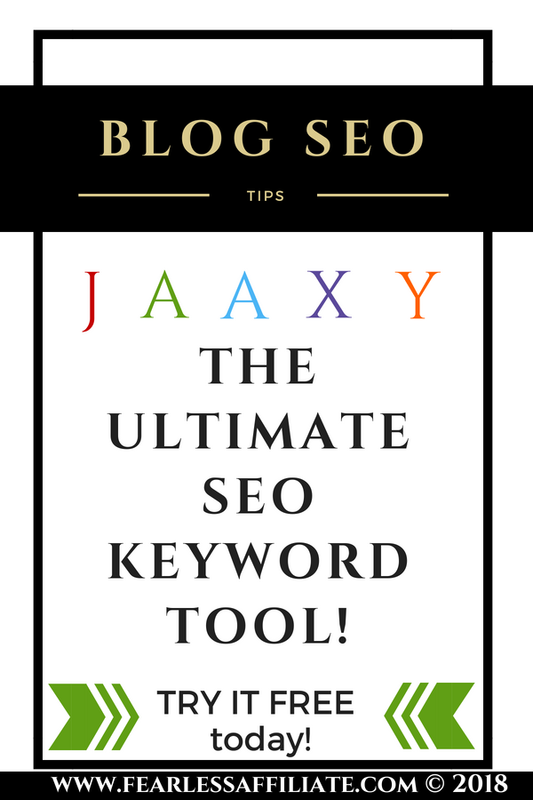 Jaaxy Keyword Tool with SEO Help! You can also use the SITE RANK feature, which allows you to put a keyword in and your sites url and you can see where you are ranked. 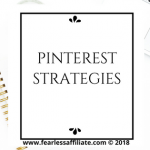 I was quite shocked to see some of the results, because I thought that most of my traffic was coming for just one of my pages, so this is good information to have. Another fun feature found within the SEARCH tab, is the SEARCH ANALYSIS sub-heading. Go ahead and type in one of your posts that is not ranking on page 1 of Google. Have a look at who the competition is on page one. Click any of those top ten search results and see all the anlalytics of their webpages; see why they are ranked on page one. You can reverse engineer the information and see what other affiliates are doing in terms of information that they give. High word count numbers tend to mean that there is a lot of dialogue happening within the comments section. This is good information to have! Another feature that you will find invaluable, is the BRAINSTORM tab, at the far right in the black bar menu. What is happening here is that Jaaxy is going through these search engines and social media sites to bring you the topics that are currently trending. You can then click on any topic you like and this will add it to your “Brainstorm Queue”. Now, when you go back to KEYWORDS (far left tab in the top menu), all of your saved brainstorm items are in the column next to “Related”. Just click on one of your brainstorm items and Jaaxy will do a keyword search on that term! 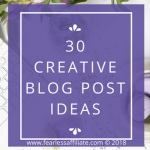 A bit of a time saver, along with currently trending topics, which can give you countless ideas for blog post topics. See the Jaaxy search box for the latest keyword searches from current Jaaxy users! All of this information can be found in the TRAINING section of the Jaaxy program, as well as Kyle’s Jaaxy blog. Until I did this research, I had no idea that some of these tools existed within Jaaxy. I was only using it as a Keyword Research Tool. Now that Google wants you to purchase ads to get access to the benefits of their keyword planner tool, you may find that Jaaxy with its 30 free searches will be very helpful to you. 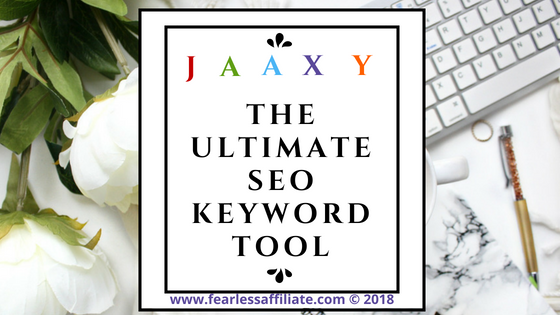 I highly recommend that you click the link to Jaaxy and try out at least one keyword search to see what a powerful tool it really is! Jaaxy is certainly one of my favorite keyword research tools. 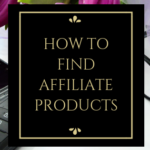 I have used a lot of them in the 10 years that I have been in affiliate marketing. It’s so much better than Long Tail Pro, KWFinder, etc. I know a lot of the top SEO’s in the industry like SEMrush, Google Keyword Planner, Ahrefs, etc. But, Jaaxy is an awesome tool. The amount of money you will make back with it is totally worth it, though. Not to mention if you use their affiliate program getting $20 each month which is nice. I ‘m always a fan of affiliate programs that allow you to earn every month versus just a one-time payment. I agree with you 100% about Jaaxy. I have been in love with this product for a year now, and I am totally addicted to checking my stats in the Site Rank! I am getting page one results with so many of my blog posts because of the keyword tool. It is so worth the money! I’ve debated whether or not paying for Jaaxy would be worth it. I’m still not completely sold to be honest, I think it would be super useful further down the road once Analytics become an integral part of my operation. In the stage I’m at now, it seems like it would be very helpful but not necessarily vital to the operation. Hi Dom, and thank you for visiting today! I waited until I was earning some money with my website, because I just did not want the added expense. I am glad that I chose to sign up for Pro before the price change and after the upgrade. I always chose Jaaxy for only some keywords, as I was hoarding my free trial. I am finding Jaaxy to be much more helpful since it has been upgraded. 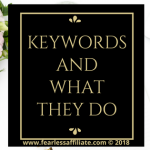 Keyword research has been kind of a chore, but there are so many benefits with the new Jaaxy, such as website rank, and the brainstorm option – which helps me see what is trending and how I can fit that into a post. Hi Paul, and thank you for stopping by! I agree; I have yet to find a program that does all of things that Jaaxy can do right out of the box. Well worth the price! I never knew this kind of tool existed! I’m always doing keyword research for my blog. Will definitely have to use the paid version as 30 searches won’t last very long. Hi Laurel, and thank you for your comment! I agree and it is the first thing I will buy when I have a bit more cash! Hi, Irma! Thank you for sharing this useful information! In fact, I also didn’t know that Jaaxy have so many features, tools, and I surprised about it. It looks like Jaaxy truly is a great and useful tool for us. Now I am worried that I am not using Jaaxy at all. Hi Linda and thank you for your comments! Jaaxy is an amazing tool that does a lot of helpful things beyond keyword research. I do not know if I can use another tool now that I can integrate the other features while I am doing my research! Jaaxy does save a lot of time, and its keyword tool is invaluable, but the Search Analysis tool is the number one reason to use Jaaxy! Very nice!! 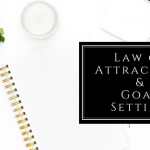 I have used this tool, Jaaxy on many occasions and found it to be valuable! It certainly does work a bit better than the stock tool in WA. I highly recommend. thank you for the review and all that you do!! Hi Brent and thank you for stopping in and your lovely comments! I was not aware that all of that was available on Jaaxy. Thank you for sharing. I have only been using the free keyword search on WA and now I considering if I want to start using Jaaxy. Hi Marsha, and thank you for visiting! Until yesterday, that is how I felt as well. Now that I know all of the things that I can do with Jaaxy, I have to consider signing up for Pro! What a steller review Irma! Had no idea Jaxxy had so many features. Loving the WA keyword tool, but now it looks like Jaxxy is going to be stealing the spot light from here out! Thanks lots for the dig. Hi Paula, and thank you for your comment! I agree. I was thinking that the WA was the same, until I did some digging and saw all of the features that Jaaxy has, and that the competition does not have – or at least the ones that I could access without paying for! And why not? You get 30 free searches, so FREE is true. It is the ULTIMATE because of all the features, so that is true. It is a KEYWORD TOOL, so that is true. 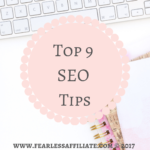 And it helps you with your SEO by letting you see where you are in the rankings and by seeing what the competition is doing so you can adjust your campaign, so that is true. Hi Chappy – I checked this out. It does say it’s free!! 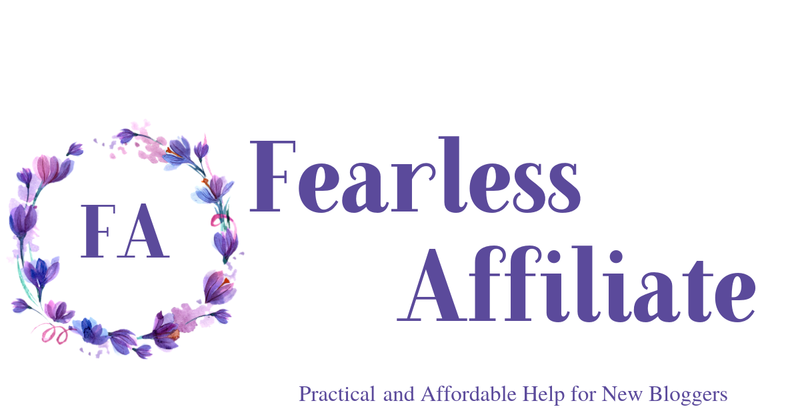 It is free for your first 30 searches, but you are also offered to be an affiliate which in turn could keep that “free” thing going for you! Right? 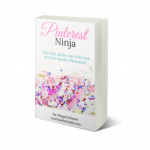 I am super excited to use this tool for my business. :o) To me, it’s like hitting a jackpot, lol. I use Jaaxy EVERY time I write a blog post. It really takes the guess work out of finding the right keywords. I totally agree that the Wealthy Affiliate Keyword Tool is good, but Jaaxy is simply superior. I’ve been using Jaaxy for quite some time and didn’t even realize all of the other great features you mentioned! I can’t wait to start utilizing them. Hi Bailey, and thanks for stopping by and adding your comments! I know right? I found out so many things today about Jaaxy that I did not know existed. This is such a fun tool, and the analytics are going to be so helpful! !